The 19th Annual Mid-America Open was held from March 13-15, 2015, at the Crowne Plaza Hotel St. Louis-Clayton, 7750 Carondelet Ave., St. Louis, Missouri, USA. The 5-round Swiss event had seven sections: Open, Under 2100, Under 1900, Under 1700, Under 1500, Under 1300 and Under 1000. The Open section gathered 37 participants. 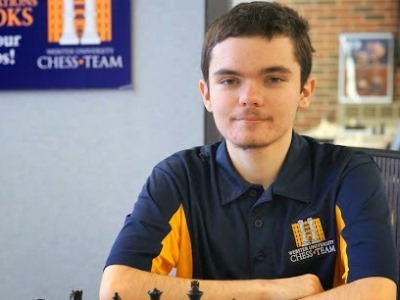 GM Illya Nyzhnyk of Webster University took a clear first place with 4,5/5 points to claim the top prize of 2100 USD. IM Priyadharshan Kannappan is second with 4,0 points, having collected 1000 USD for the effort.